The Reims Mountain, a geological wonder for vines which give some of our most famous wines. 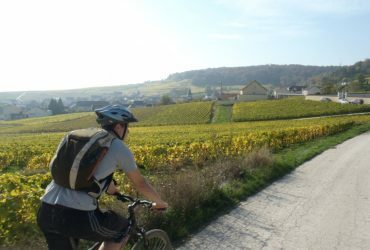 By following the towpaths or venturing on the small roads with low traffic, Champagne is a destination of choice for cycling tourism. Discover charming villages in the heart of the vineyards and venture into the heart of the Champagne countryside, between forests, streams or around the Reims Mountain. Mixing the beauty of the landscapes and the joys of the palate, the region will not leave you indifferent, whatever your level or your desires. It’s impossible to not talk about wine when we talk about Champagne! The vine was brought by the Romans but the sparkling wine does make an appearance until the 14th century. Since then, an entire economy has been forged around its vineyards that produce one of the most famous wines in the world. Subjected to invasions and therefore to various influences throughout its history, Champagne has inherited a very varied architectural heritage. The monuments in chalk or terracotta brick follow the half-timbered ones. The Roman era left some remnants, notably in Reims. From medieval castles to Romanesque churches to Gothic buildings, let yourself be enchanted by all this architectural diversity. The region was strongly impacted by the First World War but was still able to relaunch its economy which, in addition to wine, has long been heavily based on crafts. Knives are made in the region, as the Nogent Cutlery Museum can testify. Basketry, stained glass work, glass and textiles are also very developed. The network of bicycle lanes in Champagne was built on the towpaths along the rivers and canals that wind through the region, as well as on abandoned railways. Tourism infrastructures have also adapted to the growth of bicycle tourism by providing secure areas for bicycles and many bicycle shops. 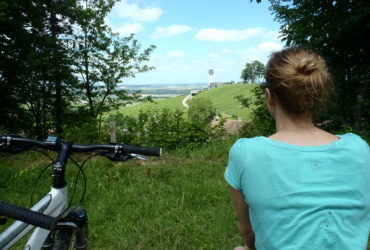 Two major routes serve the Champagne-Ardenne region: Champagne à Vélo and the Ardennes à Vélo, which offer more than 450 km of greenways to help you discover all the charms of the region. Champagne offers a temperate climate. The plains of Champagne around Reims and Troyes are bathed by a relatively mild and less rainy climate than the regions further east and north with reasonable annual rainfall. In the summer, it’s pleasant to cycle in the region thanks to mild temperatures between 20 and 25 ° C on average. However, the mornings can be chilly, which is why it’s better to have a warm layer for morning outings.